Columbia business executive Jim Reynolds will chair the SCICU Board of Trustees for a two year term ending August 31, 2017. Reynolds is CEO of Total Comfort Solutions and a past board chair for both the Greater Columbia and the South Carolina Chambers of Commerce. 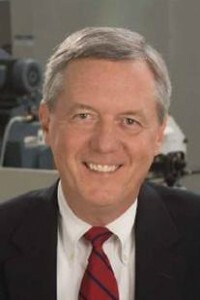 He was named the South Carolina Business Leader of the Year in 2010. Russell Cook of Chapin will serve as chair-elect. Cook recently returned to the Board after six years of previous service which included chairing the Development Committee. He is the Managing Director of Comporium Ventures, headquartered in Rock Hill. After successfully guiding the Board for the past two years, Kathy McKinney continues to serve on the Executive Committee as immediate past chair. A member of the Board since 2008, McKinney is a shareholder in the Greenville office of Haynsworth Sinkler Boyd where her practice primarily involves serving as bond counsel in tax-exempt financing for 501 (c) (3) entities. The Board’s vice chair is Dr. Todd Voss, president of Southern Wesleyan University in Central. Dr. Voss is chair of SCICU’s Council of Presidents. Prior to becoming president at SWU in 2011, Voss served as executive vice president at Indiana Wesleyan University. Additional information on the 2015-2017 officers may be found here.